Frigid weather from the polar vortex has forced the closing of GSU starting Wednesday at 3 pm through Friday. The polar vortex is expected to last through Wednesday and into Thursday. So far the lowest temperature recorded was -23 (and -49 wind chills) at O’Hare International Airport while the coldest wind chills were recorded outside the city – DeKalb (-56), West Chicago (-55) and Aurora (-54). The week started at GSU with a late delay beginning at 10:00 A.M. on Monday Jan. 28 then being pushed back until 1:00 P.M. Then the following Tuesday, Governors State University announced of the early school closing that same day at 3:00 p.m. continuing through Friday until 8:30 a.m. He usually has a team of 30-40 people to help with game production and because of the switch it decreases how many people work because it messes up everyone’s schedule. The switch also affects students like interns. If they’re doing their internship and can’t work, they have to make up those hours. Kundla says, “This affects his planning because he likes to plan ahead and it’s hard to do that when you switch dates. “The GSU Jaguars play Olivet Nazarene on February 4th and it’s their biggest game so please support the woman’s and men’s basketball teams and cheer them on! This intense weather has caused Chicago and the surrounding area to enter a near shut down mode, closing schools, businesses, delaying flights, halting public transportation, and more resulting in Illinois Gov. J.B. Pritzker issuing a disaster proclamation for the entire state. Mayor Emanuel gave a public press conference in preparation for the deadly weather stating that it should “not be taken lightly” and the weather is considered a “public health risk”. The polar vortex originally began from a blast of heat and sudden warming in the North Pole thus splitting the vortex into multiple pieces. One of these pieces is what has traveled down into the Midwest creating this weather phenomena. 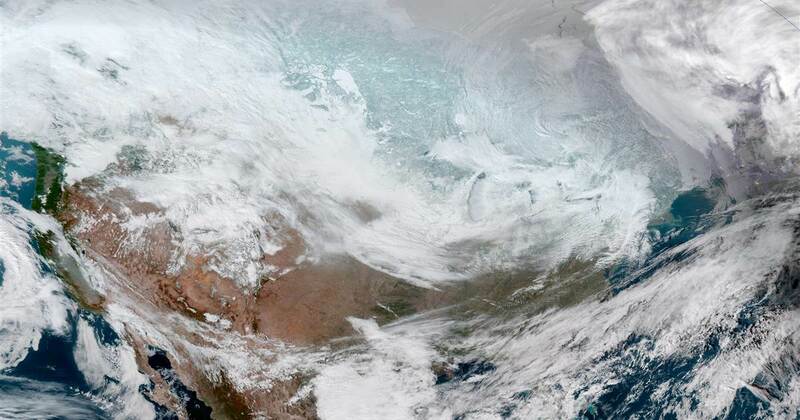 The polar vortex is deadly because of the freakish cold. If someone stands outside for too long, they will get frostbite in a matter of 5 minutes. Everyone at GSU, please be careful when you go outside. If you do go outside, wear clothes that will protect you from the cold like coats and sweaters.